Evocative of SoHo’s spacious artist lofts of the 1970s, this 17th floor, two-bedroom, 1,600 square foot luxury penthouse is a modern urban oasis in which New York’s cultural legacy is apparent in even the smallest details. Weathered accents like oak floors create a homelike comfort, balanced by industrial-inspired furnishings. From the original 1950’s photography provided by Howard Greenberg Gallery, to the custom wallpaper adorning the deluxe bathroom by legendary New Yorker illustrator Saul Steinberg, Loft North draws upon the creative energy of downtown Manhattan’s most iconic district in an environment that is yet indulgently serene. 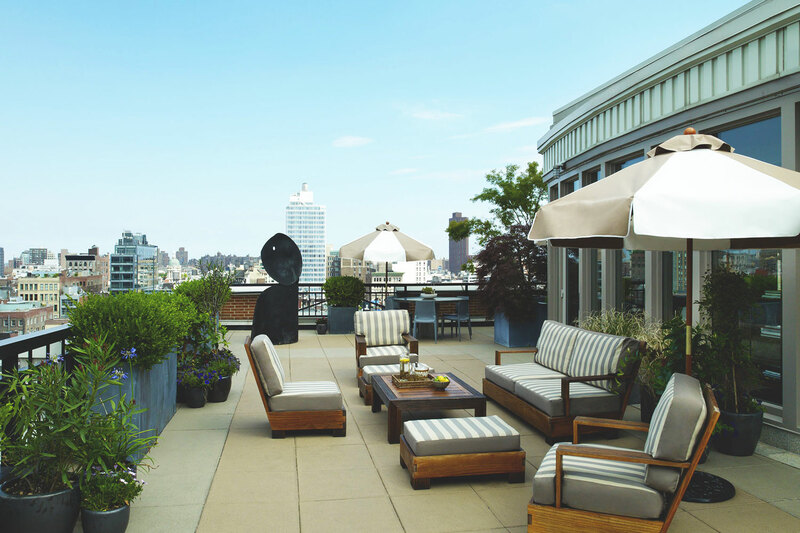 The floor plan consists of two bedrooms and a separate living room that leads out onto a 1,200 square foot terrace with stylish furniture and panoramic views of the Empire State Building. A full-service wet bar, a Martin Guitar, Yamaha upright piano and freestanding soaking tub. 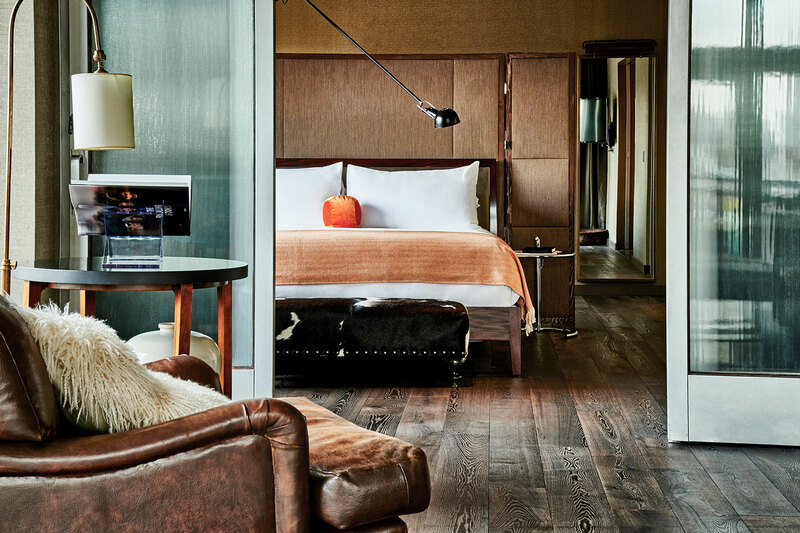 For Loft North reservations, please contact our Sales team at (212) 965-3461, sales@sohogrand.com. For private events, please see details here.